Boxer Rebound acquires legal ownership of the dogs in our care from animal shelters and Humane Societies within our operating area. This includes Boxers picked up as strays, confiscated for abuse/neglect, and voluntary owner-surrenders. We also maintain an extensive network of local veterinarians who will contact us should they have a Boxer in need of placement. We do NOT accept dogs with a known bite history. We do NOT accept mixed-breed dogs. Due to the significant number of Boxers in need in our area WE DO NOT PARTICIPATE IN CROSS-COUNTRY TRANSPORTS OF BOXERS FROM OTHER STATES. Priority for space is awarded to those Boxers most in need and considered on a case-by-case basis. Owners considering surrendering their Boxer to us should first contact the breeder from whom the dog was purchased. All reputable breeders will reclaim any dog they have sold at any time in its life should the need arise. 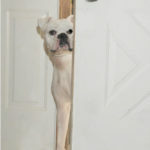 If this is not an option then owners may contact us to determine if surrender is appropriate and if space is available. We require photos of the dog, the reason for relinquishment, a phone number and location in the initial contact. If we accept the dog, owners are asked to provide registration papers (if available), a supply of whichever food is being given and a donation to help fund its care. Transportation to our facility is the responsibility of the owner. We do not accept Boxers from outside our operating area. 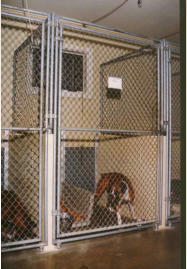 As with Boxers from shelters, allotment of space is determined on a case-by-case basis. Expert counseling is available to those owners willing to make an effort to resolve whatever issues prompted them to consider surrender. Many owners who heed our advice ultimately elect to keep their dogs. 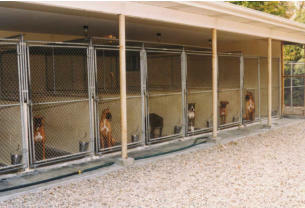 All our Boxers are housed in our kennel facility located within Lucky-E Kennel in Ringwood, IL and cared for by our staff. We do not use foster homes. Indoor-outdoor runs are spacious & temperature controlled. Beds, blankets and toys are provided as well as daily outdoor time when weather permits. Dogs interact frequently throughout the day with staff and select volunteers. The kennel environment offers a stimulating and active experience while keeping dogs safe, within our reach and under our direct supervision. The facility is staffed 24/7.